As a photographer, you probably spend time reviewing the work of other photographers. If you’re interested in Landscape Photography, then you will no doubt have reviewed the work of those considered to be masters of their craft such as Ansel Adams. But have you ever stopped to review the work of painters, especially the landscape work of the old masters. With image editing becoming easier and taking on an increased importance in producing a finished image, we should look to the painting techniques of the old masters. 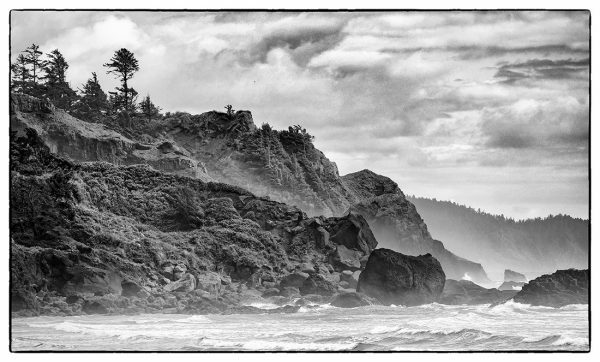 It might just give your landscape photography work a new edge if you do. 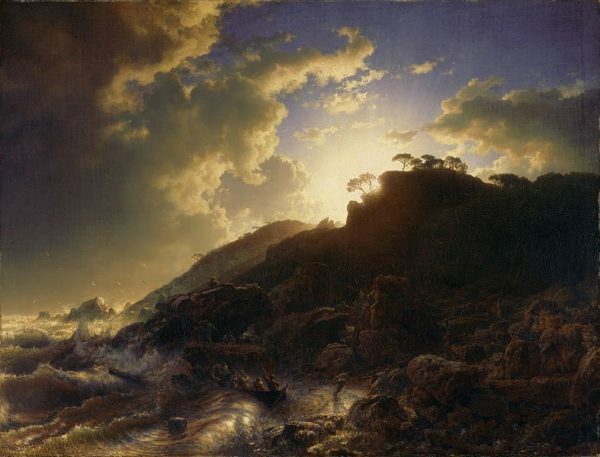 Take a look at this painting by Andreas Achenbach in 1852 titled Sunset after a Storm on the Coast of Sicily. There are large areas of shadows to indicate the absence of light falling in these areas. As Photographers we often seek to include detail in shadow areas where perhaps we would be better sending these areas to black. Although there are large areas of deep shadows, there are hints of structure and detail in these areas which make you look further. Along the skyline are silhouetted trees. These help the illusion of light giving the impression of sharpness and definition in the bright areas area. These are the laws of physics yet when many photographers process images they to try to make everything equality sharp and detailed everywhere in the scene. Notice how the light falling onto the water has created areas of detail with contrast and colour present. Here there is structure in the waves which adds detail and the areas where light falls are brighter and more saturated. These areas tend to draw the eye and hold our interest. Notice how the painter has created recension in the pointing with the distant hills having less shadow and less well defined detail. This creates the illusion of depth in the painting. Despite this, how often do we landscape photographers strive to produce amazing detail and sharpness from the foreground to the distant hills (blame Ansell Adams and the 64 group for that). Consider using a vignette to draw the viewers’ attention into the centre of the frame. Adding a border helps to contain an image and add weight. It helps create a boundary so that the viewers eye doesn’t wander easily outside this. Don’t be afraid to plunge selected areas into shadow. Techniques such dodging and burning are a great help here. Remember that shadows have less detail but still retain large structural elements to maintain interest. If you’re working in colour, shadows and distant objects have less saturation than close objects. Close objects are sharper, with higher contrast and more detail than distant objects. This helps create the illusion of depth, as in the following image. Taking a great, well composed, well exposed image is the start of the process. You then need to adjust the image using the techniques mentioned above. Remember that the eye is drawn to areas of detail, contrast, light and saturation so selective adjustments are essential. This means you will need to develop (if you haven’t already) your ability to make selective changes in Lightroom and or Photoshop. Filters such as the Nik Collection (now available for free) and in particular Viveza, can be a huge help in this process. Above all else, practice and patience will be required. Just as a great painter didn’t master their techniques overnight, if you wish to be a master of landscape photography you will need to experiment and practice.